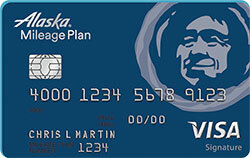 The Alaska Airlines Visa Signature® Credit Card is a travel rewards card with a $75 annual fee. It offers fairly generous rewards for Alaska Airlines and Virgin America purchases, as well as dining with more than 11,000 Alaska Airlines restaurant partners. Every $1 spent earns Alaska Airlines Mileage Plan miles, which are redeemable for award travel with Alaska Airlines, Virgin America, and several global airline partners. The Alaska Airlines Visa Signature Card also offers a nice lineup of travel benefits. It’s comparable to other brand-specific airline credit cards, including United MileagePlus Explorer Credit Card and Citi / AAdvantage Platinum Select World Elite MasterCard. It also competes with general-purpose travel credit cards such as Discover it Miles, Chase Sapphire Preferred Card, and Capital One Venture Rewards Credit Card. After making $1,000 or more in purchases within three months, you get 30,000 bonus Mileage Plan miles. That’s enough to redeem for a round-trip economy flight anywhere within the continental United States. Also, for a limited time, you get a complimentary companion fare (less taxes and fees) when you spend the same $1,000 in purchases within three months. The Alaska Airlines Visa Signature Card earns an unlimited 3 Mileage Plan miles per $1 spent on Alaska Airlines and Virgin America purchases. Purchases with 10,000 Mileage Plan Dining partner restaurants, including independent restaurants and chains such as IHOP and Buca di Beppo, earn an unlimited 5 miles per $1 spent (including tax and tip). All other purchases earn an unlimited 1 mile per $1 spent. You can redeem accumulated Mileage Plan miles for flights with Alaska Airlines and about a dozen airline partners, including Cathay Pacific, British Airways, American Airlines, and Delta Airlines. Redemption minimums generally start at 10,000 miles for domestic economy Alaska Airlines flights, but can require as few as 5,000 miles for short-haul flights (700 miles or less. Other carriers’ minimums range as high as 25,000 miles for domestic economy flights, and higher still for international flights. You can combine miles and cash at redemption, provided you have the minimum number of miles required. Doing so occasionally confers a discount. For instance, Alaska Airlines offers fare discounts up to $200 per flight when you choose its Money & Miles option. Mileage Plan miles are generally worth $0.01 to $0.02 apiece at redemption, though their value can vary greatly depending on the routes and dates for which they’re redeemed. In general, longer, non-peak-season overseas flights offer the best value, sometimes well in excess of $0.02 per mile. Short-haul domestic flights offer the least value. There are no blackout dates or other restrictions on redemptions. No matter how many miles you’ve earned or which route you select, you’re entitled to one discounted companion airfare ticket (round-trip) per year. The base fare for this ticket is always $99, and the additional taxes and fees can be as low as $22, for a total of as little as $121. The traveler using the companion award must accompany someone who pays the full published fare for the same flight. The award expires 12 months from the date of issue. Bank of America deposit accountholders can protect against overdrafts by linking their checking, savings, or money market accounts to their Alaska Airlines Visa Signature Card. When an overdraft occurs, the Alaska Airlines card is drawn on for a cash advance in increments of $100. For instance, a $150 overdraft produces a $200 advance. 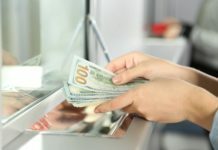 Each overdraft advance costs $12 (as opposed to the regular cash advance rate of the greater of $10 or 3%) and accrues interest at the maximum cash advance rate. This card comes with some additional travel benefits, including a free first checked bag for the cardholder and up to six companions (worth up to $175 per flight) on Alaska Airlines and Virgin America flights. This card comes with a $75 annual fee. 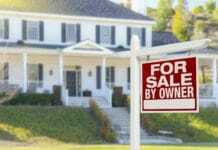 Balance transfers and cash advances cost the greater of $10 or 3%. There are no foreign transaction fees. Returned payments cost $27, while late payments cost $37. Sign-up Bonus Requires Reasonable Spending. The Alaska Airlines Visa Signature card’s sign-up bonus is relatively simple to attain. When you spend $1,000 within three months of opening your account, you get 30,000 bonus Mileage Plan miles – good for a free economy round-trip anywhere within the United States – and a complimentary Companion Fare that effectively doubles the value of your bonus. Mileage Plan Dining Boosts Earning Power at Restaurants. If you dine out frequently, this is one of the best travel rewards cards around. All told, more than 10,000 restaurants participate in Mileage Plan Dining, and participants are particularly plentiful in markets served by Alaska Airlines. British Airways Visa Signature Credit Card and United MileagePlus Explorer Card ($95 annual fee) don’t offer such generous restaurant benefits. Companion Airfare Benefit Is Great for Traveling Couples. This card’s companion airfare benefit is perfect for traveling couples planning longer trips. Depending on the route it’s used for, it can be worth hundreds of dollars. United MileagePlus Explorer Card and Gold Delta SkyMiles Credit Card from American Express lack comparable benefits. Bank of America Customers Get Overdraft Protection. If you have a deposit account with Bank of America, you can use your Alaska Airlines Visa Signature Card to protect against overdrafts. This is a great benefit relative to other travel cards with associated deposit institutions, such as Discover it Miles and Discover Bank. Partner Airlines Serve Much of the Globe. Although Alaska Airlines primarily serves the United States (and really only focuses on the western United States, at that), accumulated Mileage Plan miles are redeemable with about a dozen other airlines with global reach. Cathay Pacific serves much of East Asia, Qantas serves Australia, British Airways serves Europe, and so on. If you plan to travel beyond Alaska Airlines’ home territory, you can still find opportunities to get free flights. No Foreign Transaction Fees. This card has no foreign transaction fee, which is great news for travelers who frequently fly Alaska’s partners overseas. Can Only Redeem for Airfare and Related Purchases. The Alaska Airlines Visa Signature Card’s rewards program is fairly generous, but the redemption process is restrictive: You can only redeem for Alaska Airlines, Virgin America, and partner airfare and upgrades, or for Alaska Airlines vacation packages and cargo shipments. You can’t redeem for hotel nights, rental cars, or other travel purchases. This is a big drawback relative to a general-purpose travel card such as Chase Sapphire Preferred or Capital One Venture Rewards. Moderate Baseline Rate for Earning Miles. The Alaska Airlines Visa Signature Card earns 1 mile per $1 spent for all non-airfare and non-dining purchases. That’s a definite drawback for cardholders who don’t purchase Alaska Airlines airfare or dine out very frequently. If you’re looking for a better baseline earning rate, consider a general purpose travel card such as Barclaycard Arrival® Plus World Elite Mastercard® ($89 annual fee, waived during the first year), which earns an unlimited 2 points per $1 spent on all purchases. Limited In-Flight Perks. The checked bag fee waiver is nice, but the Alaska Airlines Visa Signature Card has few benefits once it’s actually time to board your flight. For instance, you don’t get priority boarding or in-flight discounts with this card. Gold Delta SkyMiles ($95 annual fee) offers both. Has an Annual Fee. This card comes with a $75 annual fee. That’s a drawback for frugal travelers and those who don’t fly enough to justify an annual outlay. For a fee-free option, look to Discover it Miles. Like many travel rewards cards, the Alaska Airlines Visa Signature® Credit Card‘s perceived value depends heavily on how you use it. If you dine out frequently at Mileage Plan Dining partners and use Alaska Airlines or Virgin America as your default airline, it’s going to be hard to beat this card. If you’re airline-agnostic, don’t live near an Alaska Airlines or Virgin America airport, or don’t dine out often, there are many better travel rewards cards for your money. Then again, this card’s benefits are pretty attractive. If you’re willing to make a few lifestyle tweaks to boost its miles earning power, you probably won’t be disappointed. The Alaska Airlines Visa Signature® Credit Card is excellent for frequent travelers who don’t mind the $75 annual fee, dine out frequently, and can easily access an airport served by Alaska Airlines or Virgin America. The ideal user is a frequent traveler (and diner) who lives in Seattle (Alaska’s main hub), San Francisco (Virgin America’s main hub), or another major West Coast city served by lots of Alaska and Virgin America flights. This card isn’t as useful for people who don’t travel very often, who aren’t convenient to a hub airport, or who simply prefer a more versatile travel rewards card. This card’s easily attainable sign-up bonus, excellent restaurant rewards, annual companion airfare bonus, expansive partner airline network, and lack of foreign transaction fees are all nice benefits. However, its restrictive rewards, moderate baseline miles earning rate, annual fee, geographical limitations, and limited in-flight perks hurt it. Overall, it’s a great card for frequent Alaska Airlines travelers.